If You Record Police Misconduct, Should You Put the Video Online? Cell phone cameras have become immensely more popular and of higher quality. It's now relatively easy to create detailed videos at a distance, even on these personal devices. Whipping out cell phones and taking pictures, be it selfies or candids of others, has become almost second nature to Millennials. One extension of that is video recording "people behaving badly," and that includes police officers. Can you take a video of a cop performing police misconduct? And if so, should you post it online? The first question you may have is "Is it legal?" meaning, is it legal to record police officers in public without their permission? The answer to that is a resounding yes. Under the First Amendment right to free speech, people are free to record almost anything they see in public, including police officers, so long as they aren't trespassing or using a telephoto lens to obtain the video. However, if you are on private property, and the property owner asks you to stop recording, you must obey their requests under the laws of trespass. This is true even for private places that are open to the public, such as shopping malls or restaurants. Some police officers may be brazen enough to break any law, which may be why you started recording in the first place. They may tell you that you don't have the legal right to record the situation, but you probably do. They may also tell you that they can confiscate your phone or delete your photos right then and there, but they can't do so without a warrant. Some police officers may yank the phone right out of your hand and you may not think it prudent to stand up for your rights to this particular officer. 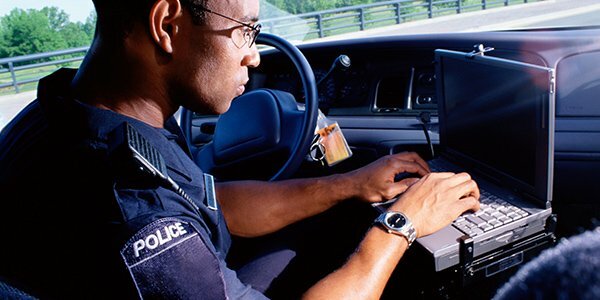 Therefore, some people take precautions prior to recording police officers, such as using apps, such as CopWatch, that upload video taken in real time and alert watchdog groups of the video's existence. Others change security settings so that as soon as the phone is taken away, the passcode is needed to login, and therefore cops can't delete the content without getting you to unlock the phone first, which may be an easier protest for you to make. Should You Publish the Videos Online? Now that we've established that taking videos of police officers is almost always legal, and we've given you a few tips on how to do that, the next question is, should you post these online? That's a judgment call that only you can make. Many proponents of posting videos of cops acting badly believe that such postings are the only way to get police misconduct to end. They have seen far too many times that videos such as these used as evidence at trial against police officers don't always have the impact you'd think. Bad cops do walk free. However, in the court of public opinion, it is more likely than not you will sway more people into seeing the misconduct as you did. If a police officer has tried to prohibit you from taking videos of police officers, or worse, confiscated your phone or deleted your content, contact a local civil rights attorney. Your First Amendment right to free speech was created for these sorts of purposes -- to keep state militia and other members of the government in check.